On Wednesday night, the 2011 Grammy Awards nominations were announced during a special concert on CBS. The first surprise of the evening was that raspy folk-soul singer-songwriter Ray LaMontagne will be up for Song of the Year for 'Beg Steal for Borrow.' His competition for that award includes Eminem, Cee Lo Green, Lady Antebellum and Miranda Lambert, who also performed at the event. 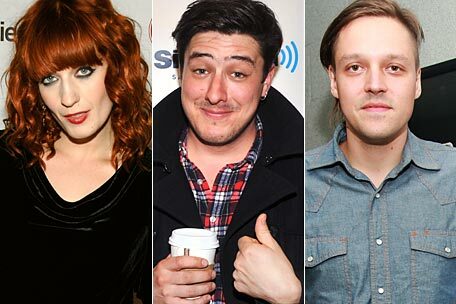 Less surprising was that Florence and the Machine and Mumford and Sons will go head to head with Drake, Justin Bieber and Esperanza Spalding for Best New Artist. In the Album of the Year category, Arcade Fire was the sole straight-ahead rock nominee, garnering a nod for 'The Suburbs.' They'll face Lady Gaga, Lady Antebellum, Eminem and Katy Perry in that category. For Record of the Year, which goes to the artist as opposed to the songwriters and producers, Cee Lo (for the song otherwise known as 'Forget You,' as Selena Gomez and host LL Cool J put it), Jay-Z, B.o.B., Eminem and Lady Antebellum were nominated. For best group Rock performance, the list included the Black Keys, Jeff Beck with Joss Stone, Arcade Fire, Muse and last year's big winners, Kings of Leon. 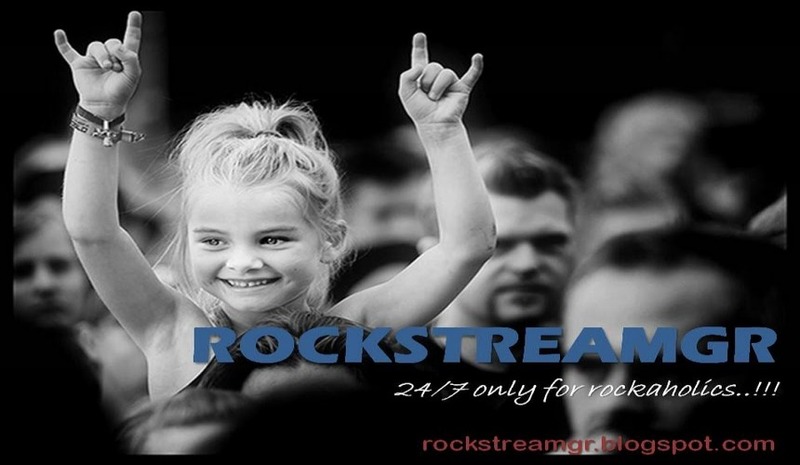 Neil Young, Mumford and Sons, Kings of Leon, Muse and the Black Keys were nominated for Best Rock Song. Young, Beck, Muse, Pearl Jam and Tom Petty were also nominated for Best Rock Album. On top of that, Young will also compete with Eric Clapton, John Mayer, Paul McCartney and Robert Plant for Best Solo Rock Vocal Performance. In the Alternative Album category, Arcade Fire and the Black Keys will compete with Band of Horses, Broken Bells and Vampire Weekend. For best Hard Rock album, Ozzy Osbourne will face off against supergroup Them Crooked Vultures and a '90s rock trio of Alice in Chains, Soundgarden and Stone Temple Pilots. The frontrunner for the ceremony is Eminem, who received 10 nominations, followed by B.o.B with seven. Guitarist Jeff Beck came in with five, while the Black Keys, Cee Lo and the Roots each received four apiece. 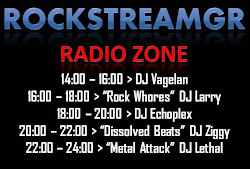 Αναρτήθηκε από ROCKSTREAMGR στις 7:08 μ.μ.